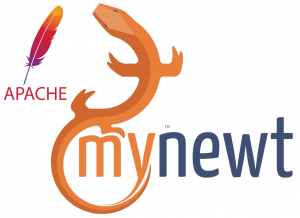 wolfSSL is happy to announce support for Apache Mynewt! We have added a new preprocessor define to enable the mynewt port layer in wolfSSL, called WOLFSSL_APACHE_MYNEWT. This port uses Mynewt’s raw socket interface, “mnsocket”, to send and receive data over the SSL/TLS connection. We also created an example wolfSSL client for Mynewt. To use the wolfSSL client sample in your mynewt project, you first need to first deploy the “wolfssl-example” source code to the project. Please see the README.md document in our “wolfssl-examples” repository on GitHub for information about build, test, and deployment methods. Please contact us at facts@wolfssl.com if you would like more information about our Apache Mynewt support or about the wolfSSL SSL/TLS library in general. wolfSSL also now supports TLS 1.3 and FIPS 140-2, both of which could now be used in conjunction with Apache Mynewt!